When your magic is invested into potions and simple items you can stock pile it and cache it against unforeseen mishaps. You can also share it to those who have no magic of their own. 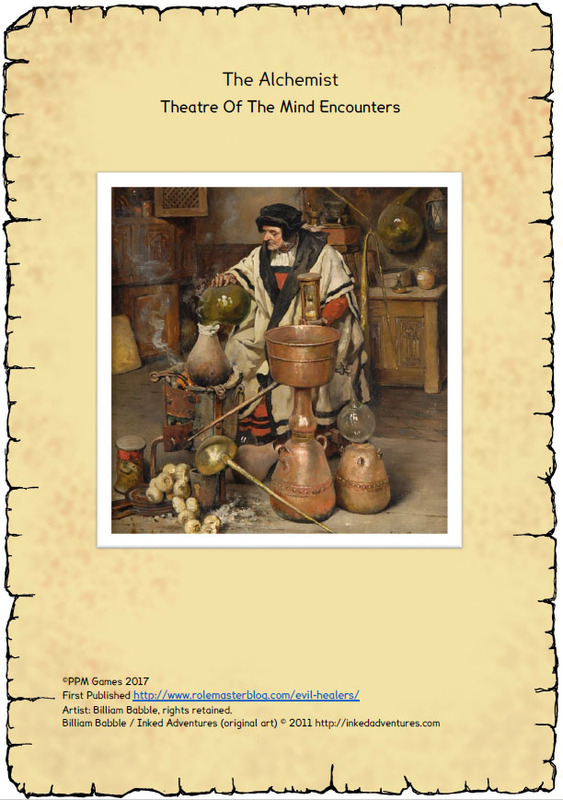 There is no reason for the alchemist to stay hidden away in the back room any longer. This unusual NPC centric adventure brings the Alchemist into the centre stage. Available from RPGnow for $0.99.